2018 Owens BBQ Black Friday/Cyber Monday Specials! 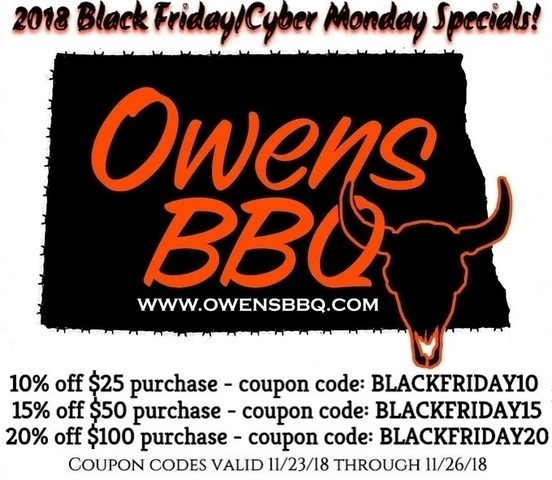 Posted: Fri Nov 23 18 11:27 am Post subject: 2018 Owens BBQ Black Friday/Cyber Monday Specials! With these discounts you can save up to $32 off thermometers and smoke generators up to $22 off regular prices!